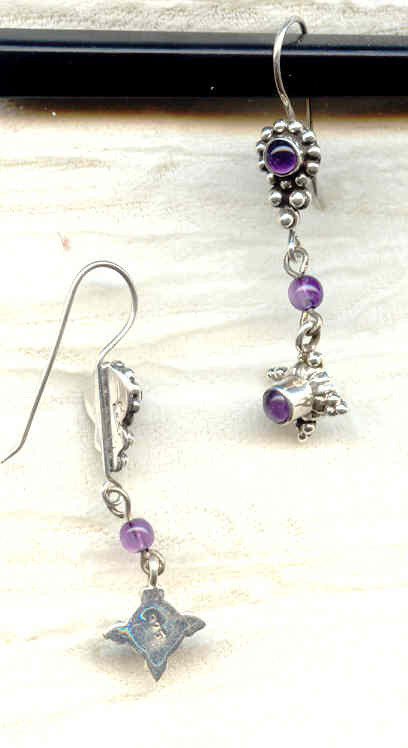 Both the earring findings and the drops are set with glowing amethyst cabochons. The two elements are joined by 4mm round amethyst beads. The earrings dangle 2 inches from the tops of their French wires to the bottoms of the drop. 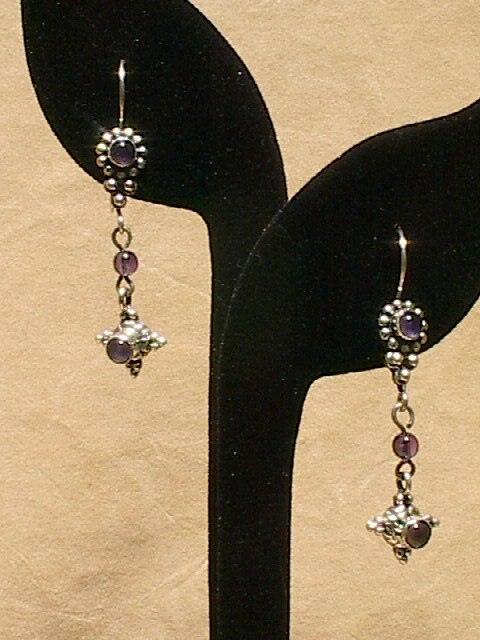 Absolutely elegant, they're from SPARKLE PLENTY, of course.